It’s difficult to hide the excitement that I felt when I heard of a new entry of the Science Adventure series will be making its way to the West. If I remember correctly, it was Steins;Gate that originally introduced me to the world of visual novels and made me a fan of the genre. Since then I have broadened my horizons and experienced many different types of visual novels, but this series will always hold a special place in my heart. 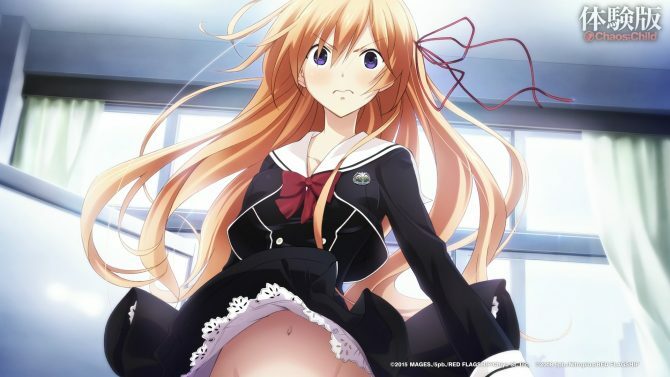 Chaos;Child is the fourth entry of the Science Adventure series and introduces a new cast of characters who are faced with tragedy and science fiction themes. The game has all the elements that fans of the series will love, but might not have the same impact on non-visual novel fans who don’t bother to put the required amount of time into the game needed to learn of its strong suits. Disclaimer: This is a visual novel and although I will avoid story spoilers the premise of the game will be discussed. Chaos;Child begins by introducing a series of characters who meet their end in some of the most mysterious and disturbing ways. During this opening, I was genuinely creeped out and amazed by the pace that the story set so early on. The game expertly introduced a problem as well as a mysterious villain that left me wanting more. Luckily this feeling is shared with the main protagonist, Takuru Miyashiro, who is a high school journalist obsessed with uncovering mysteries for his school newspaper. Takuru isn’t the hero that you’d expect, but he does share some of the same egotistical traits found in Steins;Gate’s Rintarō Okabe. Takuru spends a lot of his time online while constantly judges people and putting them into social groups, such as, right and wrong-siders, and normals. Evidently, he considers himself a right-sider, a title that very few people hold. Takuru definitely has many quirks, but his group of friends also satisfy areas of his personality that he lacks. The story goes into great detail about every character and explains them fully to give the reader a clear understanding of who they are to the point where you can almost guess what they will do in any situation. I found myself attached to each of the characters because of how well they are established. Sadly, Chaos;Child can also be categorized as a horror game and not all of them make it through alive, depending on which route you take. Routes are determined in a clever, but semi-unclear way. During the story Takuru will have the choice to enter a delusional state where he can choose a good or bad outcome, or just simply stay neutral. Choosing to enter a delusion will trigger a scene that only happens in his head. However, these scenes can also change the outcome of the story and also affect the way Takuru feels about his friends. 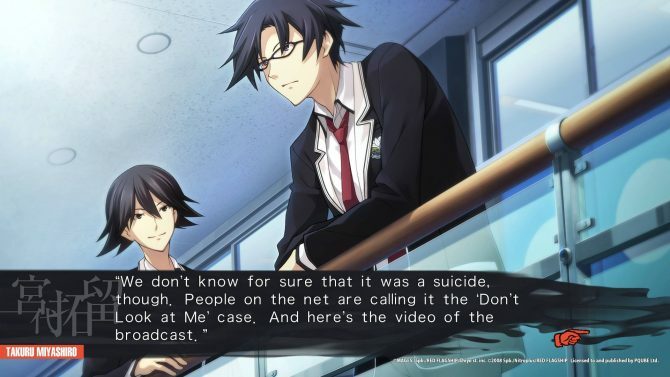 The theme of delusions plays a pretty important role in Chaos;Child as Takuru and the other members of the Newspaper Club learn more about them as well as the term Gigalomaniacs. I really don’t want to spoil too much about this theme, but Takuru and his friends learn more about these delusions and the world around them which is sure to ignite the interest of any science fiction fan. Chaos;Child begs for multiple playthroughs and I highly recommend it because the game only gets better after the story branches from the main route. However, the true ending will not be unlocked until the main and sub routes are finished. 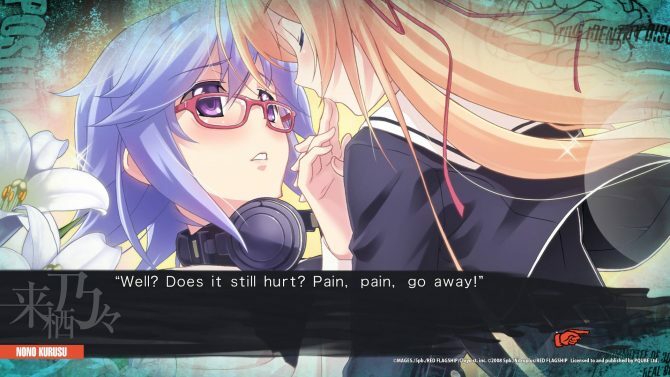 This is where Chaos;Child might lose the interest of new fans due to the game’s length, about 60 hours, as well as a few points of the game where the story slows down or loses its pace. After playing through three of the routes, I was able to discover many of the horrific science fiction themes that this game has to offer. 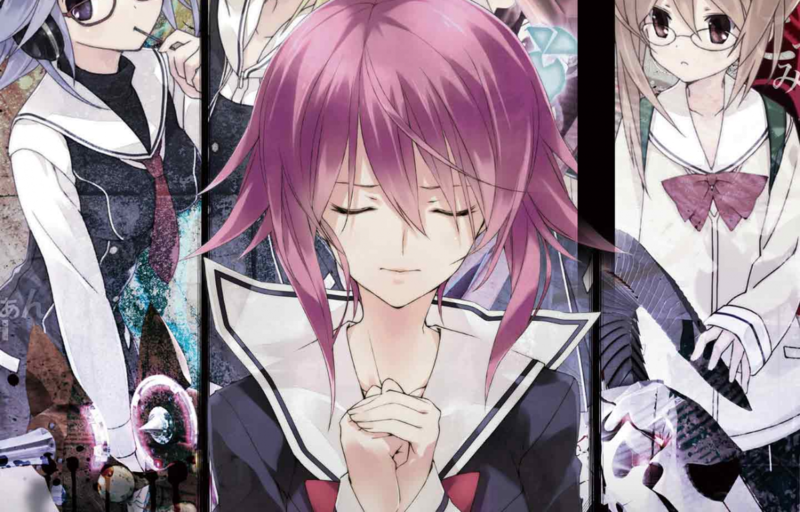 Chaos;Child doesn’t hold back and after facing many loses or dead ends, the only means of closure would be to get to the true ending. Coincidently, the last time I felt this way was when I was playing through Steins;Gate. PQube did a wonderful job localizing Chaos;Child. This is a game that describes everything in fine detail and requirs a good localization to keep the mood of the game and also make it easy for the reader to keep up with the plot. Thankfully, like Steins;Gate, Chaos;Child has a log with any key terms that are introduced in the dialog. I have always been a fan of this system as well as the clever in-game resemblance to real world elements, such as, the forum @Chan, which mirrors 2Chan. True, many of these elements are only popular in Japan, but that’s when this list comes in handy the most. 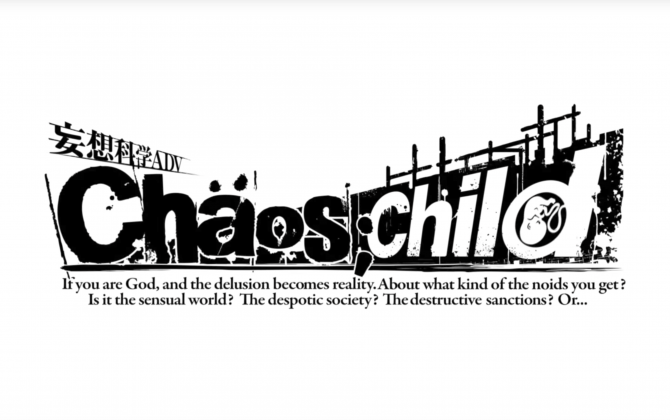 It should be pointed out that Chaos;Child is a sequel to Chaos;Head, a game the hasn’t came out in the west. The story begins by referencing some of the events that occurred in Chaos;Head, but I didn’t feel that I was missing out on any experience that would keep me from understand Chaos;Child’s story. 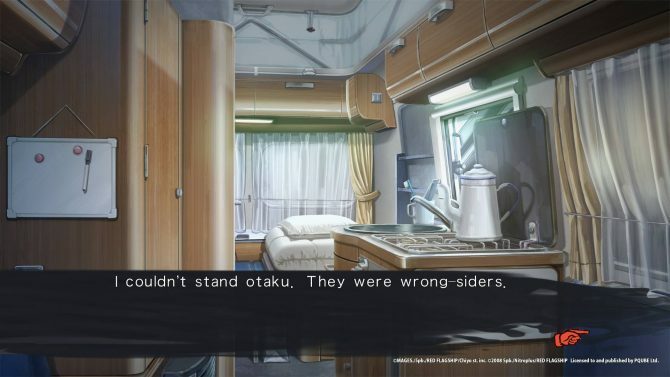 Other than being based in the same world, Chaos;Child is its own story with its own characters. With that said, I would still like a proper localization of the first entry of the Science Adventure series. 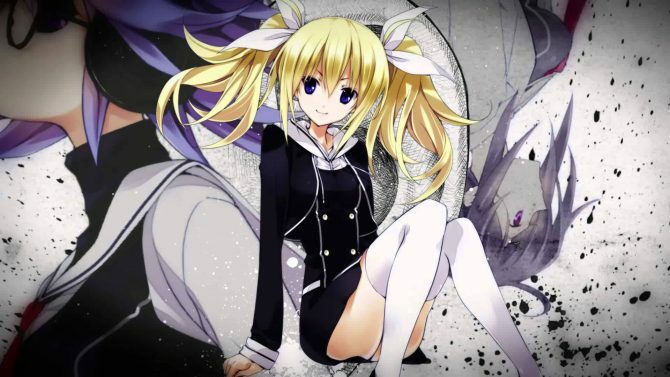 Chaos;Child is a thrilling visual novel that every fan of the genre needs to play. With a story this good, it will be difficult for players to not be emotionally invested in these characters and their goals. The game’s runtime might be high with a few dips in the pacing, but the payoff is worth it when the game leaves you completely broken and begging jump back in for a different route.